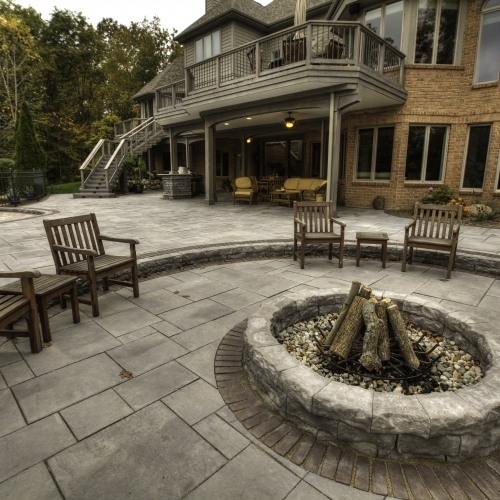 Adding an outdoor fire pit or fireplace to your property can make really increase the length of your season of outside enjoyment at your home in South Lyon, MI. Sitting around a fire will keep you warm and can definitely add a ton to the environment of any party or gathering. Having a fire later in the day or in the evening is great for relaxing and can even provide you with a calm and romantic setting for during or after dinner. 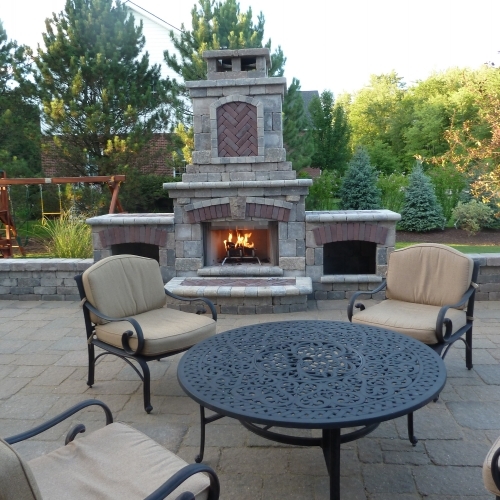 There are many different sizes and designs of custom outdoor fireplaces and fire pits that our company has experience working with in the past for residences in the South Lyon area. View some of the pictures below and read some of our customer testimonials to get a stronger sense of what we will be able to do for you. Feel free to request a quote or call us today to speak with someone about your upcoming project.